Interactive documentary projects are collaborations between filmmaker, technologist and designer. Each party brings to the project a language specific to their respective medium, and each can have something the other needs. A filmmaker can be looking for interactive non-linearity to give new meaning to their narrative, while the designer and technologist can be seeking out the cinematic linearity of film to give essential meaning to their aesthetic and code. The artistic success of a project is related to how deep these transactions go, and to what extent perceived barriers between film, design and code are eliminated. 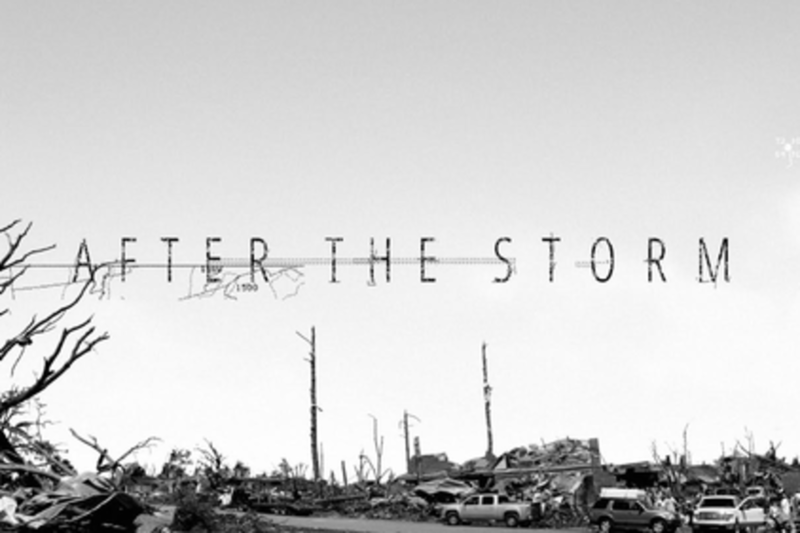 Filmmaker Andrew Beck Grace and Toronto-based Helios Design Labs worked remotely for six months to produce the interactive documentary essay "After the Storm." By using this project as a test-case, this session will present a tool-kit of ideas for other creators in the medium while exploring the how and why of interactive, web-native nonfiction storytelling. Alex is Partner and Creative Director at Helios Design Labs. Born in Germany and raised in South East Asia, Alex grew up surrounded by both the minimalism of modern European design as well as the visual chaos of the developing world. He has spent his career unsuccessfully trying to reconcile these two extremes. After finishing high school in Germany he moved to Canada and attended the Ontario College of Art from which he graduated with a degree in Design and Communication in 1989. Alex founded Helios Design Labs the same year. Andrew Beck Grace is an award winning documentary filmmaker whose films have aired on Public Television stations and at film festivals across the country. In 2014, his film “Eating Alabama” was awarded Best Documentary by the James Beard Foundation. The film was funded by ITVS, had its world premiere at SXSW and played nationally on PBS in 2013. His other films have won numerous regional Emmy Awards, including Best Historical Documentary. He received an MA in American Studies from the University of Wyoming where he made his first documentary feature about the reenactments of Custer’s Last Stand in southern Montana. After a few years in the West, making films, freelancing for magazines and working as a producer for NPR News, he moved back to his home state to tell stories about the deep South. At the University of Alabama he teaches and oversees a unique interdisciplinary social justice documentary program called Documenting Justice. Cathy R Fischer, cross-platform content producer/marketer/connector and translator, began her career as a publicity intern for director Robert Altman. After working in independent film, the performing arts, politics and HBO, Cathy joined public media funder ITVS, where she launched ITVS Interactive and PBS’s Independent Lens web presence. She has served as senior producer on numerous multi-platform projects where she elevates story and helps bridge the worlds of traditional filmmaking and tech. Aiming for innovation and engagement, Cathy’s experience in transmedia storytelling, games, web experiences, apps and mapping includes projects such as World Without Oil, Power Poetry, Map Your World and more. Awards include a Webby, four SXSW Awards, Games for Change and Interactive Emmy nominations. Cathy has participated on panels at SXSW, Sundance, IDA and Nashville and as a mentor/advisor with AFI, BAVC, PBS Teachers and Lunafest. Cathy holds a liberal arts degree from UC Berkeley. Mike is a Partner and Creative Technologist at Helios Design Labs, where he has been for the last 15 years. He oversees the interactive part of Helios' creative output. Recent storytelling projects that he has worked on in include Highrise with Kat Cizek and the NFB, Offshore with Brenda Longfellow, 17,000 Islands with Thomas Østbye and Edwin, World Online Orchestra with the Copenhagen Phil among others. The work has collectively won a number of major awards and nominations, including a Peabody for Short History of Highrise, and has been featured in such venues as IDFA, Sheffield DocFest, smartFip@, Bristol iDocs and others, including a nomination for activism (with Offshore) at 2014 SXSW Interactive awards. Mike studied visual Arts at York University in Toronto, and picked up his computer skill on the job at Helios.